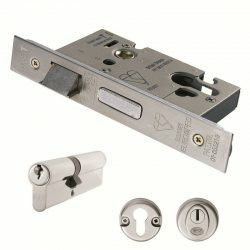 Tubular latch, the ultimate in near silent operation. No more noisy latches scraping on strike plates. For use with any handle but particularly designed to be used with door handles on roses. 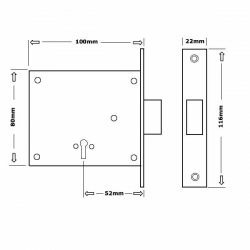 Available in 45mm or 57mm Backsets..The body has two hole cut-aways to accommodate bolt through fixings for a secure fitting. In operation when closing the door the magnets attract withdrawing the bolt from the latch case pulling it into the frame mounted strike plate keeping the door held shut. 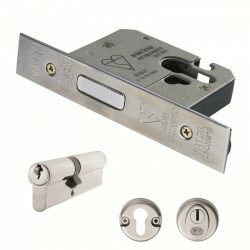 When the door handle lever is pulled down to open the door the latch is pulled away from the strike plate and the rear magnet in the latch holds the bolt within the case. 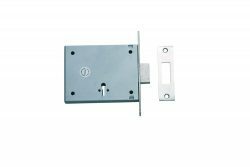 When the door is left open the bolt remains hidden within the door creating a sleek minimalist look and a great safety feature as nothing sticks out. Particularly effective if young children are in the house. 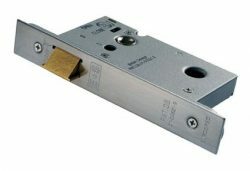 Features stainless steel latch pinion rollers for longevity and to ensure friction free operation. Comes complete with strikes and faceplates for new and retro fitting. Comes with a 10 year mechanical guarantee and is certified to British Standard EN 12209. Suitable for all domestic, commercial and industrial use.